The United Nations is running out of cash, Secretary-General Antonio Guterres has warned, saying the cash crunch is the worst in years. The UN chief urged member states to pay their mandatory contributions on time and in full, so that the world intergovernmental body could continue to deliver on its key mandates. Guterres wrote: “Caused primarily by the delayed contributions of member states to the regular budget, this new cash shortfall is unlike those we have experienced previously. Nigeria had paid its annual dues for 2018 in full, making it the 74th out of the 193 member states of the global intergovernmental organisation to fulfill its financial obligations. Investigations revealed that Nigeria paid $5,080,178 on April 5, 2018 when 119 member states were yet to pay their regular budgets, making Nigeria the 10th country in Africa to pay its UN regular budgets in full. At the end of June 2018, the amount of money paid by member states for the 2018 assessment stood at around 1.49 billion dollars, while at the same time in 2017, the amount paid to the regular budget was just over 1.70 billion dollars. 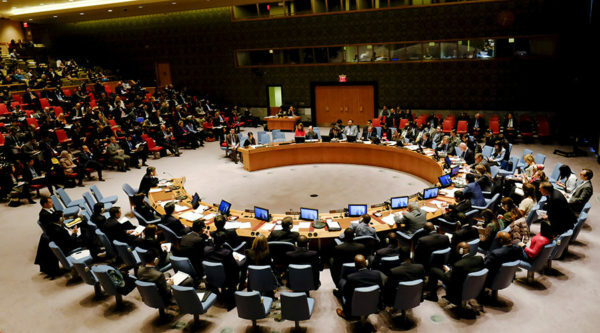 The General Assembly in December approved a 5.4 billion dollars two-year budget for the United Nations which was separate from the UN peacekeeping budget. A total of 112 out of the 193 countries have paid their dues in full as of July, although this list did not include the United States, the UN’s number one financial contributor. The outstanding amount owed for 2018 remained at nearly 810 million dollars, with 81 states yet to pay. The United States pays 22 percent of the UN budget, but the payment occurs later in the year, in line with its national budget cycle. During the 2017 gathering of world leaders at the United Nations General Assembly, President Donald Trump complained that the United States was shouldering too much of the cost of the world body. “I have appealed to member states to pay their assessments on time and in full, and highlighted the risk the current situation poses to the delivery of mandates and to the reputation of our organisation,” Guterres wrote in the letter. In 2016, Nigeria had asked the UN to review the country’s assessed contributions to the global organisation in view of the economic recession in the country at the time. Head of the Civil Service of the Federation, Ms Winifred Oyo-Ita, made the call at the UN Headquarters in New York when she visited the Chairman of the UN Fifth Committee, Kingston Rhodes. Nigeria was expected to pay outstanding contributions of 10.2 million dollars as at December 2016. However, Oyo-Ita said: “Due to recession, we want something done to review our dues and we want the UN to reconsider our assessment due to the realities of the time. Nigeria’s scale of assessment for 2013 to 2015 was 0.119 before the re-basing of the country’s Gross Domestic Product (GDP) in 2014. However, with the re-basing of the GDP from $270bn to over $500bn, the scale of assessment of Nigeria increased to 0.209 for the period 2016 to 2018. Nigeria has been pursuing the re-adjustment of the scale due to the economic reality of the country and the country’s scale is due for review this year. Speaking to journalists, UN spokesperson Stéphane Dujarric, said that the UN fully understood that some member states operated on different fiscal timetables. She, however, said that unlike in previous years, the cash flow had never been this low so early in the calendar year. Dujarric also said the UN did not have much financial flexibility and relies on member states to pay their dues on time and in full. The spokesperson added that the UN Secretariat would now be looking into ways of reducing expenses with a focus on non-staff costs.